The key line: know your players. As a leader that has to be the crux of it for me, know the people you work with. If you are a teacher then your players are the students, the parents/caregivers and your colleagues (including support staff!). If you are in business then it is your team, your support staff, your clients, your suppliers and your management/directors. If you are working in the charitable/not-for-profit sector then your players are the paid/unpaid staff, volunteers, committee members, clients, sponsors and supporters. You may extend your players over time depending on how you progress. I am working in a school this year and see that there are people in our wider community that are players that I will need to engage with so I better get to know them too. How can we get to know our players? Firstly, be prepared to listen more. Let go of your own agendas and tune into the message that is being given by those who are speaking. Ask people about themselves, find out about those things that light them up through talking to them. And importantly, make time for people to interact with you. Leave your door open for part of the day. Be accessible. Time invested in establishing positive relationships early on will save you time in the long run. Small talk helps some people connect, be prepared to make time for this so people can develop a relationship with you as another human being. Respond to communication. If you get a message respond as soon as possible, even if it is just acknowledging that you have got the message and will respond more fully when you get some time. Give people opportunities to be involved in what is going on. Ask others for advice. This is a great way to learn about people and build trust. Observe your people. Watch them in meetings, see how they interact with each other. Watch how they work with others. What seems to switch them on, what seems to turn them off? Once you know your players then you can adapt your delivery to meet their needs, keep them engaged and get them on board. Even if you have a title and a big desk in a fancy office, getting great results from your team or players means that this is not all about you... it is very much about them and what you can do to inspire, encourage, mentor, coach and lead. Take a moment to consider who your players are (it might even be those players in your own home that you are leading), and then ask yourself "how well do I know them?" Do you know what switches them on and what turns them off? Do you know what they value? What is most important to them? How do you know this? How do they communicate most effectively? When is their most productive time? What are their dreams, goals and aspirations? It is highly likely you won't know the answers to all of these questions for all of your players and that's OK, some of these won't be relevant for your circumstances or relationships. It is useful to reflect on them though and make a conscious decision to get to know your players better if you find gaps where you wouldn't expect them to be. It is also helpful to think about the answers you come up with and consider if these are facts or assumptions. To avoid damaging relationships you may need to investigate further through conversation and observation to test your assumptions and be ready to change tack if you find you are wrong. If we take the time to value the people we work with then we create a great brand for ourselves, we are able to improve workplace culture, we are better able to pull together in time of crisis, we can manage change more effectively and we are more likely to hear about problems earlier as our people know and trust us. There is a Maori proverb that encapsulates the sentiment of this post beautifully I think so I will close with it. 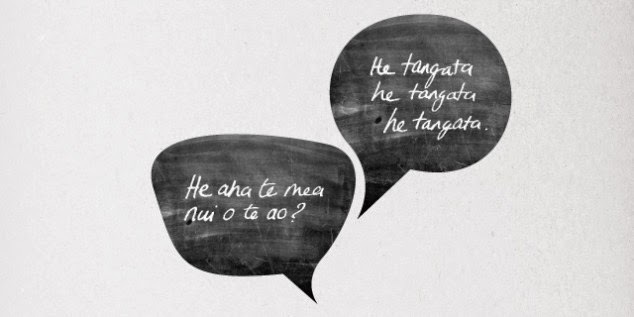 He aha te mea nui of te ao? What is the most important thing in the world? Hi Meg. Back in AWESOME AOTEAROA from AMAZING AFRICA. Love the clip and agree with your comments. Just taking the time to get to know those around us we can get to know what brings out the best and also "not the best" out of them. Just takes come common sense and a bit of effort to do this. Not everyone in a "team" can be a game breaker but together we can achieve success and satisfaction if everyone's potential is realised and used.